For the past couple of months we’ve been working with a client on developing plans for his new home. He lives just outside the city limits on a small ranch and felt like he wanted the home to look like a “Texas Hill Country” home. After a few drafts, meetings and some revisions we came up with a plan he really loves and it’s actually not “Texas Hill Country” at all. I’m calling the style “Urban Ranch” (I just made that up). It’s pretty exciting working on something that is so new and different. I feel like I get to define a genre of style, though in interior design, nothing is really new; it’s all just a reinvention of use or perspective. Anyway… I’m busy exploring materials to use on the exterior and there are lots and lots of options. 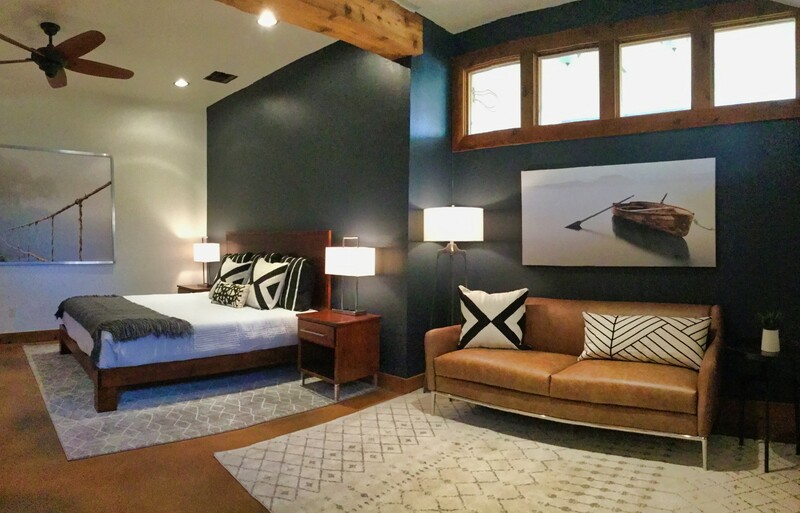 I know I want to mix modern elements with earthy natural materials. Some thoughts are stainless, clear coated cedar, galvanized metal, IPE, concrete and of course glass. If he likes my suggestions we will use IPE on the deck with a cable rail system around it with an IPE top rail. I like the idea of carrying some of the exterior materials to the inside and think using the cable rail system on the stairs inside would look awesome too. 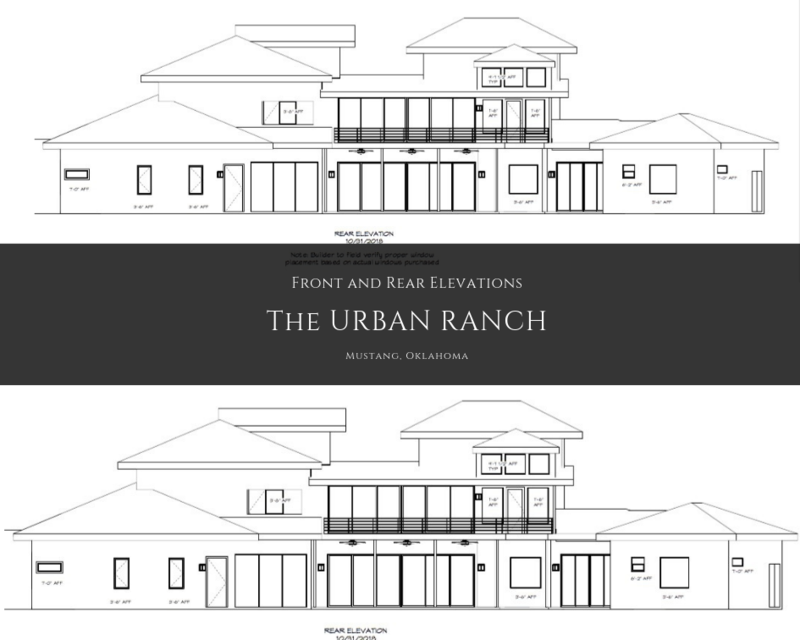 We are still working out many of the details but here’s a picture of the front and rear elevations as they stand now. 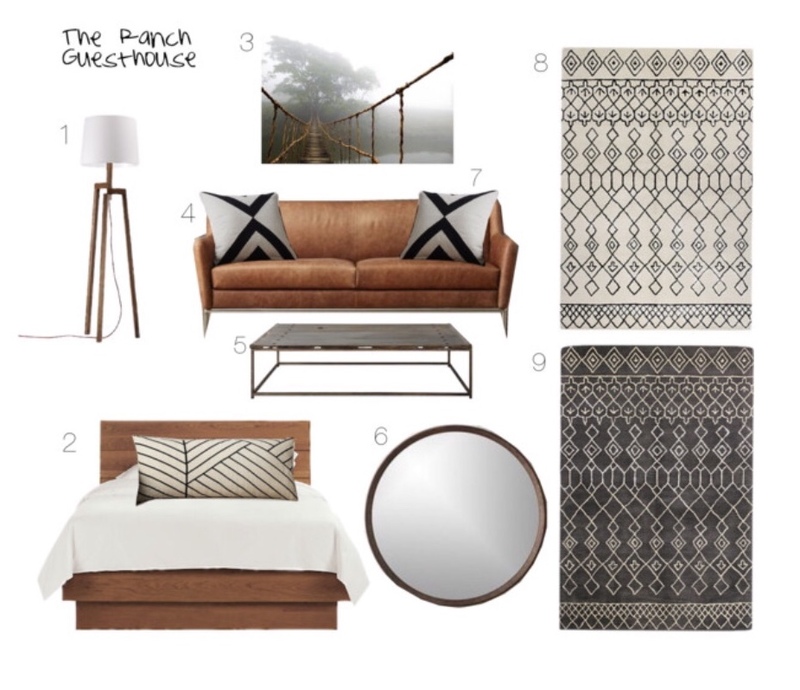 It truly is an exciting time so keep a look out on the Blog for more on our Urban Ranch project. Meanwhile, work on the Guest House at the Ranch will continue and I’ll show you more on it maybe next time on the Blog.